Total Carat Weight: 1.06 ct. This incredible diamond eternity ring features an eye catching woven design that showcases dazzling diamonds and a shiny gold or platinum setting. 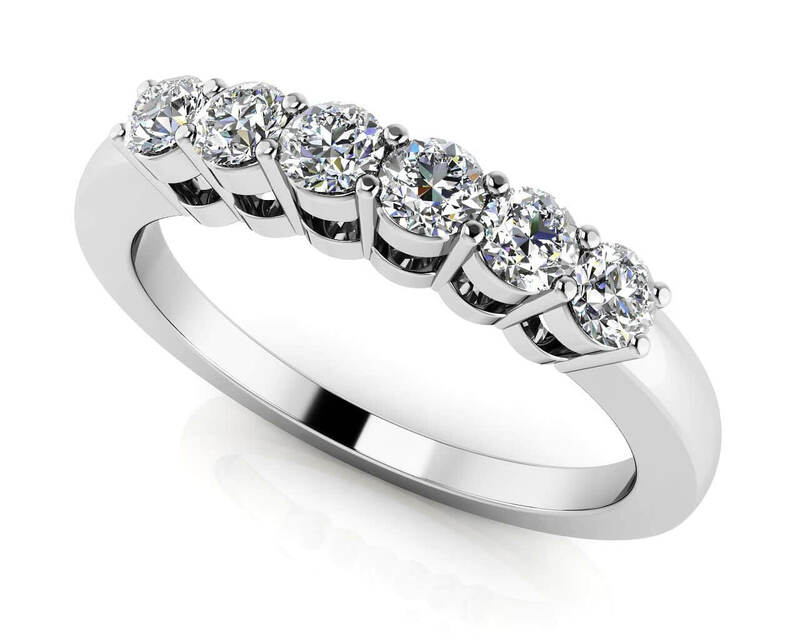 Round diamonds are prong set all around the ring. 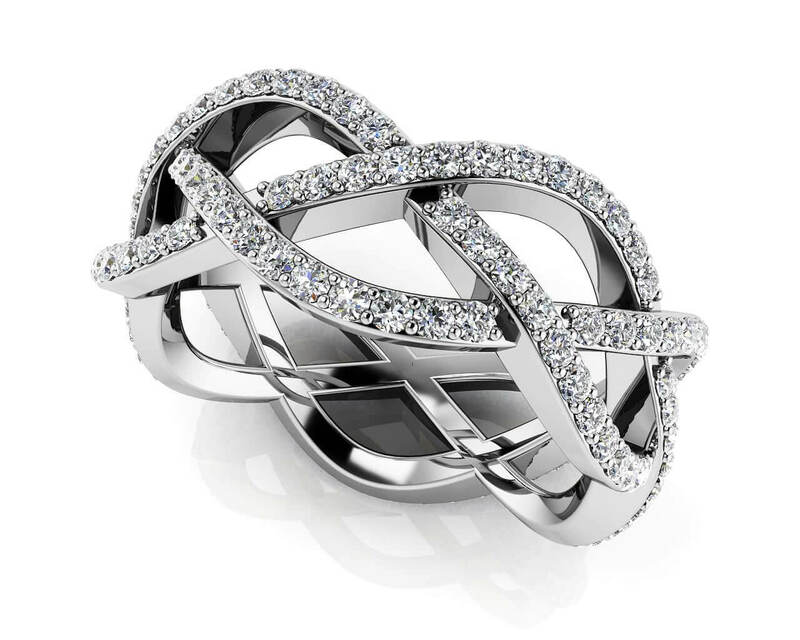 This design can be worn as the perfect stand-alone ring or as an accompaniment to an existing wedding ring. Customize with your choice of metal type and diamond quality. Model Carat Weight: 1.06 ct. Effective Carat Weight: 1.06 ct.
Stone Carat Weight: 132X0.008 ct.